Fans may have deduced the identity of one of the new operators coming to Rainbow Six Siege. If the new theory is correct, it will be none other than Nomad from Ghost Recon Wildlands, which would mark the first time an operator in Siege has been a character from another game. The theory centres on the recent and still currently live tie-in event between Wildlands and Siege, which sees Twitch teaming up with the Ghosts to track down former Operative Caveira. Additionally, Ubisoft previously revealed something about the new Operator’s past that syncs with Nomad’s own history. As part of a Year 3 recap back in November, Ubisoft said that one of the next two Rainbow Six Siege Operators would be from Scotland Yard in the UK, while the other would be from Delta Force from the US. 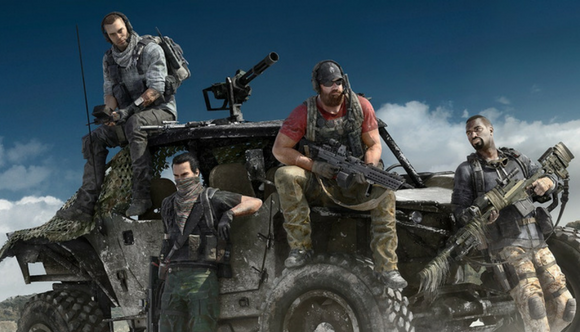 Sparked by the recent Wildlands crossover event, fans spotted that, according to his official bio, Anthony ‘Nomad’ Perryman was indeed once part of Delta Force before becoming a Ghost. It’s worth reading through the entire Reddit post, although obviously it’s all just fan speculation. At the very least, thanks to a datamining user we are fairly certain one of the next two operators will carry a blowtorch, and so will probably be a new hard breacher for the game – an important addition, as it means attackers won’t necessarily be funneled into specific paths toward objectives anymore.